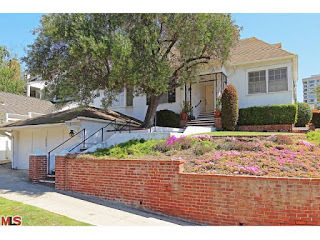 The Westwood home just south of Wilshire at 10763 Wellworth Ave LA CA 90024 has returned to the market in 2013. 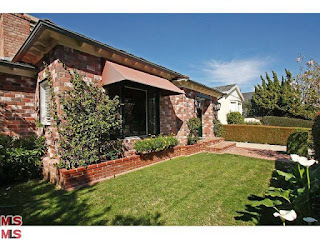 After showing just a week on the market, the home is showing in escrow on the MLS. I don't believe any public open houses were done at this house and it could have been sold to a buyer off market and put on the MLS for statistical purposes. What is interesting is this house spent approximately 113 days on the market in 2011 at $1,349,000 and $1,299,000. Then in 2012, it spent another 132 days asking $1,398,000 on the market before being withdrawn in June of 2012. 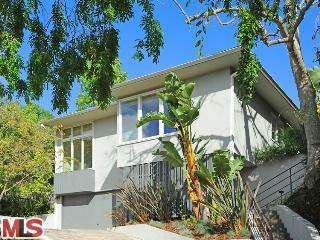 Now in 2013, 10763 Wellworth Ave came to market asking $1,499,000 and is now just looking for backup offers after a week. Will be interesting to see where this one ends up. Without being able to see the property this year, I can't confirm whether any changes have been done to the house since last on the market. But judging by the photos, it looks the same. I had written this previous description back in 2011 when I first saw the house. The home is listed as a two bedroom, but there is a 3rd room that could qualify as a bedroom. However, the layout is such that you have to walk through that room to get to the rear bedroom. So right now you can call it a 2 bedroom + office. I believe I was explained to at the house that it might not be too difficult to alter that by punching a hole in the wall between the two bedrooms and creating a hallway from the den area to access the third bedroom without going through the 2nd bedroom. Where there is a will, there is a way. Buyer to investigate. The Westwood home at 1248 Comstock Ave, LA CA 90024 lasted just under 2 weeks on the market before accepting an offer on 4/01/13. 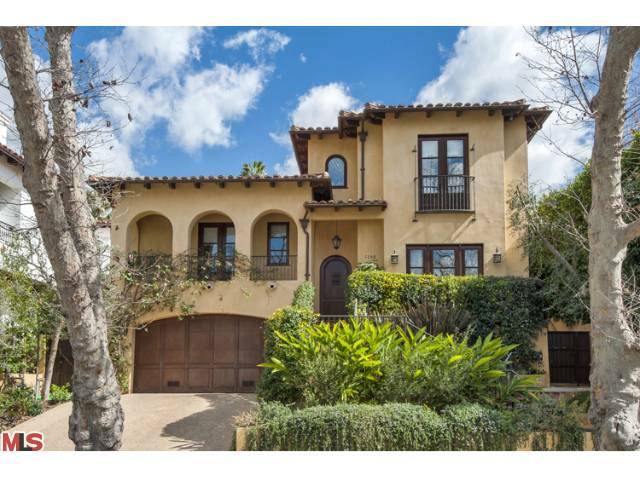 This beautiful Mediterranean sits in the beautiful area of Comstock Hills, with close access to Beverly Hills and Century City. The 5 bedroom, 5,500+ sf of living space is done with custom higher end finishes and has broad mass appeal. On 5/21/13, 1248 Comstock Ave closed for $2,785,000 |$498 $/sf|. According to the MLS, the home is a 5 bedroom / 5.5 bath, 5,587 sq ft of living space on a 8,145 sf lot. 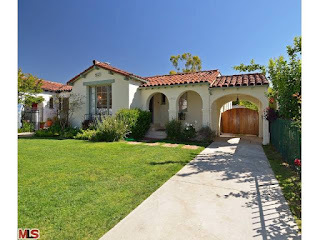 In my opinion, I believe the buyer got a great deal on this property compared to what some of the other Comstock Hills homes have been selling for. And considering the owner paid $3.2m back in 2007 for this property as well. 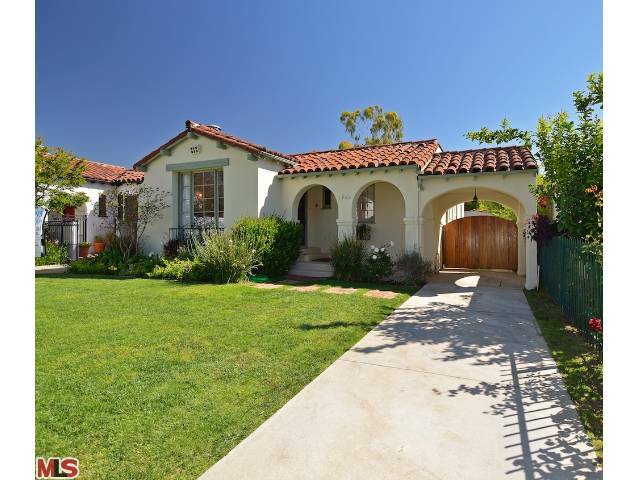 The Westwood home at 1725 Comstock Ave, LA CA 90024 lasted one day on the market before accepting an offer to take to the bank. Yes this was a short sale and it looks as though it took about 6-7 months to close from when it originally came to market. Since this home did not seem to have public opens or wait the typical week to get properly exposed on the market, its possible a buyer was secured before even coming on the market. Without interior photos or the chance at any viewings, I can't comment on the condition. Other than it looks like it was sold as-is and quite possibly as a teardown. Location wise, you couldn't get any more convenient to the Century City Mall or to SmithHouse Tap and Grill on Santa Monica as this house backs right up to it. 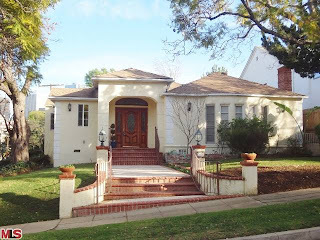 On 5/23/13, 1725 Comstock Ave closed for $994,300 |$557 $/sf|. 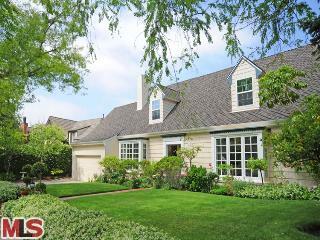 According to the MLS, the home is a 4 bedroom / 3 bath, 1,786 sf of living space on a 9,072 sf lot. Foundation Tips From The Foundation Works: Mineral Deposits, Friend or Foe...? This type of deposit, known technically as "efflorescence", is a crystalline deposit on surfaces of masonry, stucco or concrete. It is whitish in appearance, and has a very soft character to the touch, but can be indicative of issues needing resolution. The formation of these salt deposits are not mysteries. They are, for the most part, water-soluble salts that come primarily from adjacent moisture sources and which detract from an other­wise structurally sound and serviceable structure. First of all, there must be water present to dissolve and trans­port the salts. For water to carry or move the salts to the surface there must be channels through which to move and migrate. The more dense the material, whether it be brick, stone, stucco or concrete, the more difficult for the water to transport salts to the surface. Conversely, the more porous the material, the greater the ease with which salts are transported and deposited. 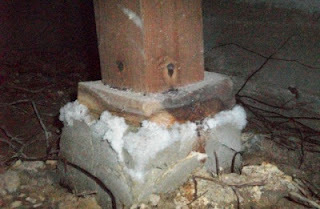 Salt-bearing water, on reaching the surface of a structure, evaporates to deposit the salt such as you see happening to this defensive concrete support pier under a beautiful Spanish-era home in Hancock Park. I could go on, but the point here is to remind one and all that despite the wonderful weather we are currently experiencing, it is of such paramount importance to be sure that the area surrounding your home is protected from any sources of water that may be causing efflorescence under it. 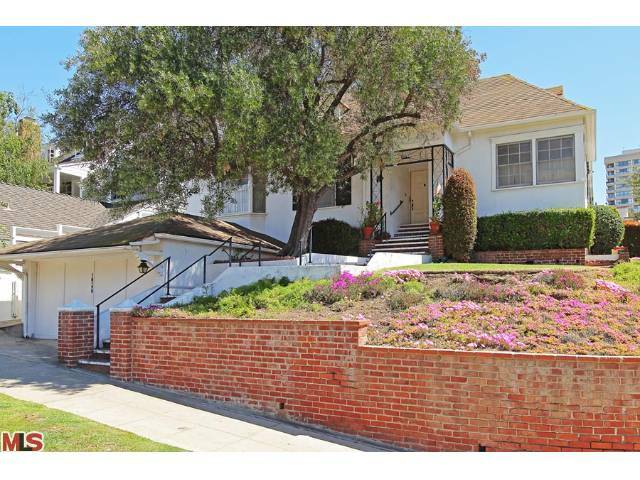 The Westwood home at 1935 Fairburn Ave, LA CA 90025 lasted about 18 days on the market before accepting an offer on 4/22/13. This home last sold in 2006, as a new construction home, for $2,050,000. And as a teardown before that in 2004 for $976,000. Situated on a desirable street location south of Santa Monica, this newer construction home is nicely finished throughout and of course in move-in condition. With 4 bedrooms up and 1 bedroom down, this is often the most desirable mix for a family with children. This keeps most of the kids on the same floor as the parents and still allows the option for someone that doesn't want to deal with stairs to be able to sleep downstairs. Only downside to this house was the smaller rear yard that isn't flat. 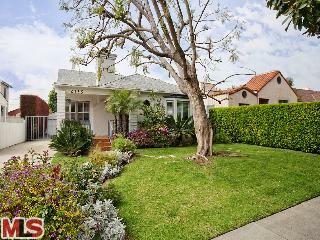 On 5/21/13, 1935 Fairburn Ave closed for $2,225,000 |$721 $/sf|. According to the MLS, the home is a 3 bedroom / 1.75 bath, 1,631 sf of living space on a 6,070 sf lot. 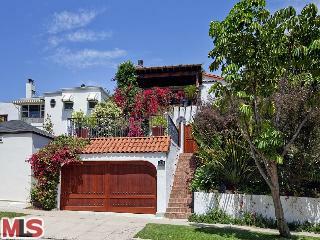 The Westwood home at 1960 Bentley Ave, LA CA 90025 lasted about 13 days on the market before accepting an offer on 4/22/13. 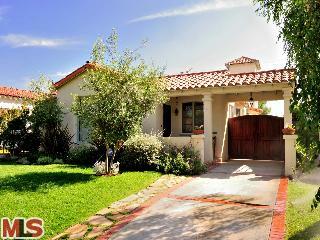 This was a nicely updated 30's Spanish home that is completely move in ready. 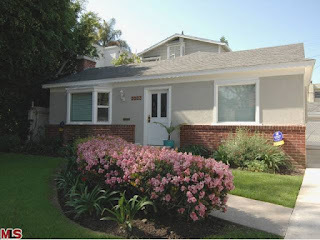 Price something under $1 million in Westwood that is move in condition, it doesn't matter how big, will sell on day 1. The owner had previously tried to sell this home back in 2011 for mid $800's and after a price reduction and 55 days on the market, they opted to lease out for $3,500 per month. With the market now stronger, this sold way above asking in the $900s in just a few days. 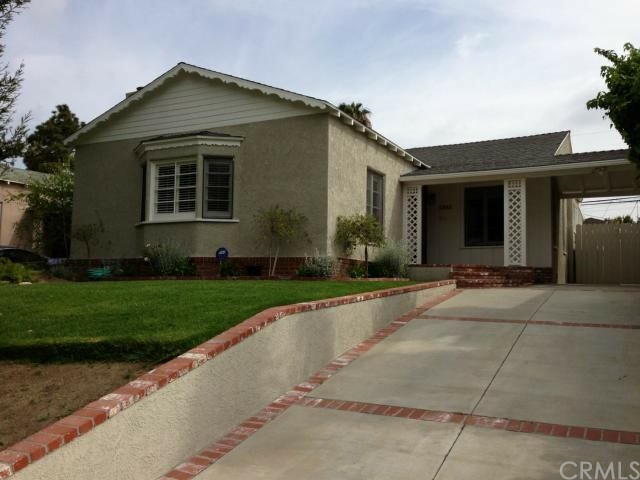 On 5/23/13, 1960 Bentley Ave closed 10% over the asking price at $914,000 |$787 $/sf|. 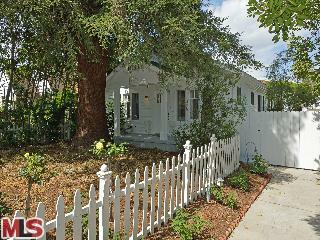 According to the MLS, the home is a 2 bedroom / 1 bath, 1,162 sf of living space on a 4,961 sf lot. 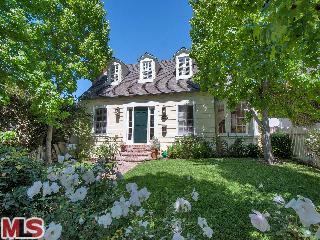 The Westwood Little Holmby home at 10798 Weyburn Ave, LA CA 90024 lasted about 12 days on the market before accepting an offer on 4/22/13. This traditional home on a corner lot is considered a heavy fixer or even a teardown by some. It has been owned by the same family for over sixty years, so this hasn't been on the market in the past. It will be interesting to see if the new owners gut it and remodel or just start from scratch. We will keep this one on construction watch. 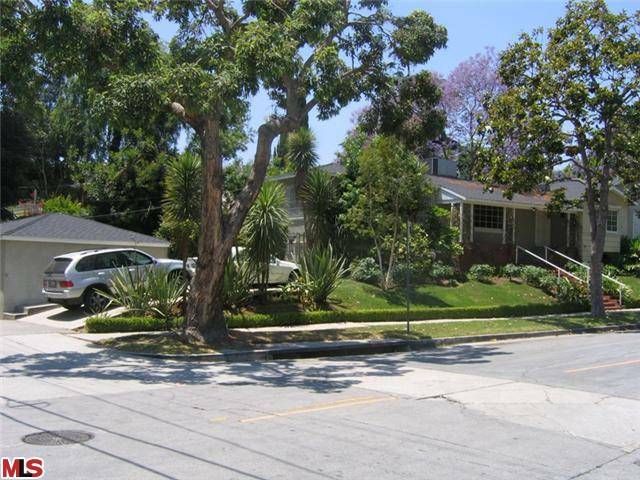 On 5/24/13, 10798 Weyburn Ave closed 14% over the asking price at $1,765,000 |$755 $/sf or $224 $/sf lot|. According to the MLS, the home is a 3 bedroom / 3 bath, 2,337 sf of living space on a 7,878 sf lot. 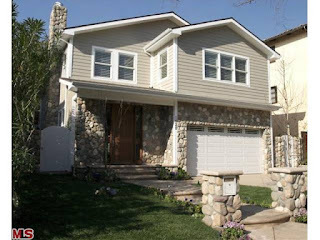 What Did The Westwood Short Sale At 2207 Benecia Sell For? 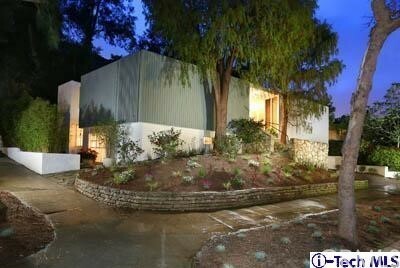 What Did The Westwood Short Sale Sell For? The Westwood home at 2207 Benecia Avenue LA CA 90064 was no ordinary sale and doesn't have a days on market number that is statistically meaningful. On face value, it would look like the home had been on the market a lifetime. However, often short sales are left running active on the market while they negotiate with the bank, even though there is an accepted offer with the seller. This particular home's latest journey started back in March of 2012. From the MLS activity, it seems they had several accepted offers that fell out for what ever reason...often it's the buyer getting impatient with an approval from the bank and splitting for an easier or 'sure thing' transaction. 2207 Benecia has some basic remodeling to the kitchen and bathrooms, but nothing that would be considered mid or high end. The downside to this house would be the smaller lot size and the stones throw away from the busy Olympic blvd. 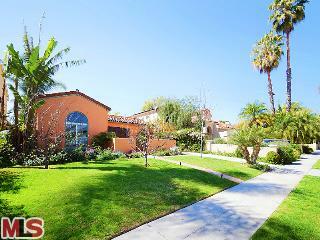 On 5/20/13, 2207 Benecia Ave closed at the final asking price of $899,000. 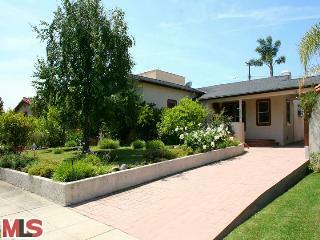 According to the MLS, the home is a 3 bedroom / 3 bath, 1,661 sf of living space on a 5,858 sf lot. There maybe an additional 400 square foot of un-permitted space that makes the total sq ft. 2,061 /SE. The Westwood home at 1529 Comstock Ave, LA CA 90024 lasted about 7 days on the market before accepting one of the multiple offers on 4/04/13. Amazingly, this home sold just 10 months ago for $2,300,000. An 18% increase in less than a year. You can look at the 2012 vs 2013 picture links below and judge for yourself. But on face value, I only see a few cosmetic changes from the previous sale. The home is located in a great section of Comstock Hills and was updated with higher end finishes throughout. 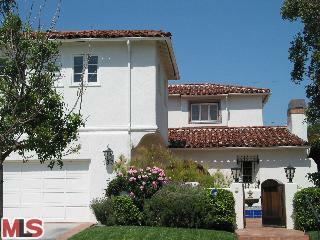 On 5/09/13, 1529 Comstock Ave closed about 2.1% over the asking price at $2,705,000 |$807 $/sf|. According to the MLS, the home is a 5 bedroom / 4 bath, 3,350 sf of living space on a 6,952 sf lot. The Westwood home at 10442 Wilkins Ave, LA CA 90024 lasted about 2 weeks on the market before accepting an offer on 4/04/13. This home had been a rental for at least the past year, previously renting out at $4,995 a month. With some basic low to mid range remodeling done througout the house, it was clean and in move-in condition. 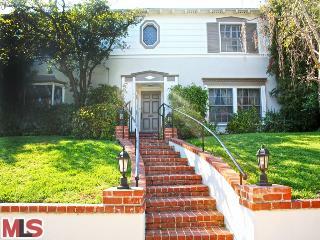 On 5/10/13, 10442 Wilkins Ave closed just over the asking price at $1,500,101 |$722 $/sf|. According to the MLS, the home is a 3 bedroom / 2.5 bath, 2,078 sf of living space on a 7,085 sf lot.